The Düsseldorfer Symphoniker are the Düsseldorf Tonhalle’s resident orchestra. This means they form the core, driving force and artistic heart of one of Germany’s leading concert halls. Their work in the Tonhalle and in the Oper am Rhein gives the Symphoniker an unusual profile which is all their own. 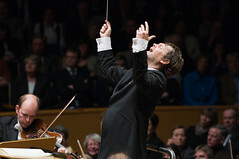 On their regular concert tours – to Holland, Austria, the Czech Republic, Switzerland, Spain, China, and Japan – the orchestra carries Düsseldorf’s reputation as a city of culture out into the world. The Düsseldorfer Symphoniker have a long tradition: right back in the 18th century, internationally celebrated artists, among them George Frideric Handel and Arcangelo Corelli, worked with the local court orchestra. When the court ceased to exist, many of the musicians went to Mannheim, the seat of one of the leading orchestras of the age. In fact the ‘Mannheim School’ formed the foundation of modern orchestral culture. 1818 saw the formation in Düsseldorf of an association that still exists and was to become the cradle of the Düsseldorfer Symphoniker: the ‘Städtische Musikverein zu Düsseldorf’ is one of the world’s oldest mixed concert choruses. With its unbroken tradition, it can look back on an impressive list of musical directors, of whom Mendelssohn and Schumann are today the best-known. It was in Düsseldorf that Robert Schumann had the only employment contract in his life. In 1864, the Symphoniker achieved autonomous status, becoming Germany’s second-oldest civic orchestra. In the early 20th century too, many great names in international music, including soloists Edwin Fischer, Elly Ney and Vladimir Horowitz, as well as conductors Richard Strauss and Jascha Horenstein, worked with the Symphoniker. During the Nazi period, they became one of the ‘Reich Orchestras’ alongside the Berlin Philharmonic and the Bruckner Orchestra in Linz. At the Reich music festivals, the Düsseldorfer Symphoniker were responsible for premieres of compositions that followed the Party line – at a time when attempts were made to demonstrate not only the existence of ‘degenerate art’ but also of ‘degenerate music’. In 2014, to mark the orchestra’s sesquicentennial, the Tonhalle and the Düsseldorfer Symphoniker will be approaching this topic, with the ‘music of totalitarianism’ at the focus of concert planning. Reconstruction post-1945 was in the hands of Heinrich Hollreiser. He was succeeded as General Music Director by Eugen Szenkar, Jean Martinon, Rafael Frühbeck de Burgos, Henryk Czyz, Willem van Otterloo, Bernhard Klee, David Shallon, Salvador Mas Conde and John Fiore. Carlos Kleiber, Hans Wallat, Christian Thielemann and Fabio Luisi have conducted the orchestra at operatic performances. 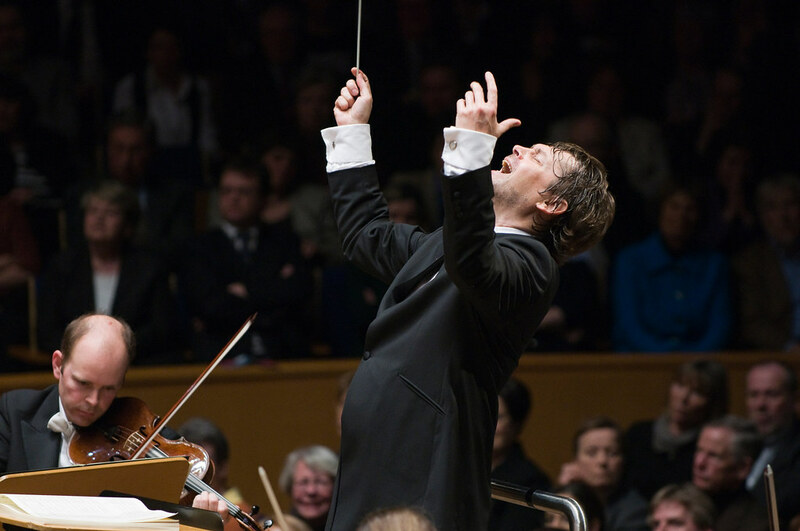 Since 2009 Andrey Boreyko, one of the leading conductors of his generation, has been GMD of the Düsseldorfer Symphoniker. The title ‘Schumann Guest of the Düsseldorfer Symphoniker’ is currently borne by the Swiss conductor Mario Venzago. To mark the Schumann bicentennial in 2010, the composer’s entire oeuvre was performed in Düsseldorf by such artists as Christoph Eschenbach, Thomas Zehetmair, Daniel Barenboim, Paavo Järvi, Riccardo Chailly, Thomas Hampson, Rudolf Buchbinder, Midori, Helene Grimaud and Frank Peter Zimmermann. But the Düsseldorfer Symphoniker were at the focus. For 2011, the orchestra is taking on the vocal symphonic works of Gustav Mahler. Performances with international big names such as Christiane Oelze, Thomas Quasthoff and Robert Dean Smith are covering the spectrum from the ‘Song of Lament’ to the ‘Song of the Earth’. Alongside its purely concert activities, the orchestra sets great store by its educational work. In intensive collaboration with schools, topics related to music and composers are dealt with in an interdisciplinary fashion, with workshops organized for young musicians. School tours by the orchestra and school visits by individual musicians are everyday events, as are visits by school groups to the Tonhalle. The concert series 3-2-1 IGNITION achieved nationwide recognition for its achievement in establishing classical music as a leisure pursuit for teenagers. The orchestral musicians commit themselves as tutors for young musicians in the in-house youth orchestra (the only one in Germany based in a concert hall), and they also work as mentors in the orchestra’s own academy. The Symphoniker’s discography comprises CD productions of live concert and operatic performances as well as studio recordings in association with the Städtischer Musikverein zu Düsseldorf. The recording of Richard Strauss‘s tone poem ‘Thus Spake Zarathustra’ (2004) was received with great enthusiasm by the critics. In 2009 the English violinist Matthew Trusler was invited by the Düsseldorfer Symphoniker to record the violin concertos of Erich Wolfgang Korngold and Miklos Rozsa. The CD is distributed worldwide by Naxos in the series ‘Orchid Classics’. Under GMD Andrey Boreyko, the most recent recording was of Tchaikovsky’s ‘Manfred’ for b-sharp. Time and again there are CD productions of live recordings from the Tonhalle, such as Schumann’s 3rd Symphony with ‘Schumann Guest’ Mario Venzago. Under Venzago, the Symphoniker have just recorded Bruckner’s 5th Symphony, which is due to appear as part of a Bruckner Symphony cycle on the cpo label. With the live visualization by Johannes Deutsch, the world’s first film version of Schumann’s ‘Manfred’ is appearing on an Arthaus DVD in August 2011.